Set in 2027, 2006’s Children of Men finds a world without a future. For quite some time, infertility has been the rule, and no babies have been born for 18 years. Much of the planet has gone into the crapper, and Britain struggles to stay afloat as a repressive police state. Theo (Clive Owen) long ago gave up any hope for humanity, so he leads a cynical existence. He hangs out with his elderly hippie father Jasper (Michael Caine) and his Alzheimer’s-affected mother Janice (Philippa Urquhart) but doesn’t have much else happening for him. Theo’s dyspeptic existence takes a sudden turn when “The Fishes” – an underground group that battles the government for immigrants’ rights – kidnap him. This move becomes additionally complicated by the presence of Julian (Julianne Moore). She acts as a bigwig in the organization – and just happens to be Theo’s ex. Though they’ve not seen each other in almost two decades, Julian hits Theo up for a favor. Julian needs help with the transport of an immigrant refugee and hopes he can use some connections to expedite this matter. Theo eventually agrees and finds himself in deep when he meets the “fugee”. Kee (Clare-Hope Ashitey) is no ordinary immigrant: she’s pregnant. The movie follows Kee’s path to safety and all the challenges she and Theo face along the way. I’d be interested to see how opinions of Men vary along ideological lines. I’d guess that conservatives like it much less than moderates or liberals, mainly because the film offers a thinly disguised treatise on then-current trends. If you want to look for allusions to the Bush administration’s worldview – one that has returned with President Trump - they’re here for the picking, especially in terms of immigration policy. Indeed, that theme dominates Men. Though set in futuristic Britain, it doesn’t seem like a stretch to read modern viewpoints in the film. Coming from a Mexican director, the movie’s brutal immigration policies seem all the more pointed; clearly Alfonso Cuaron wants us to see this side of things as a cautionary tale. I’d speculate that all of Men should be read the same way. At no point in the movie do we receive an explanation for the infertility crisis. We’re left to speculate why this occurred, and I’d take all the standard bugaboos as possibilities. Since many feel our actions have doomed the planet in a lot of ways, it doesn’t come as a stretch to read the potential for something as catastrophic as universal infertility to manifest itself. I like the fact that Cuaron delivers that side of things in a subtle manner. As I mentioned, the discussion of immigration doesn’t come with a light touch, so it’s good that other aspects of the backstory arrive without as many obvious overtones. The movie may tell us that the world went to hell in a handbasket, but it doesn’t turn into a preachy effort. That goes even for the jabs at immigration policy. I may have overstated the way they permeate the movie, as they may not be as overwhelming as I imply. In truth, I didn’t pick up on those issues as well when I first saw Men. Only during my second screening did the flick’s political side become truly obvious; I saw bits and pieces but didn’t put together the whole picture. That’s because even without the issues, Men provides a darned good little thriller, and I very much like its depiction of a dour future. Such a concept isn’t novel, but rarely do movies make an unpleasant future seem quite this nasty. Usually these efforts go in a fairly comic book, stylized way, but Men gives us a grittier feel than something like Blade Runner. As much as I like that movie, it gives us a pretty flashy glimpse of things to come. Nothing in Men seems appealing, as it presents a reality as dark and oppressive as its setting. At times the story of Men gets a little convoluted. It throws so much of its political situation at us with varying factions that it can be a bit tough to make out the twists and turns. Again, all of this made much more sense to me during my second screening, but I found myself slightly adrift the first time. But far be it for me to criticize a filmmaker for an ambitious story. Men may occasionally seem somewhat tough to follow, but it does so in the service of a complex world. It rarely spoonfeeds us, as it dollops out bits of exposition and expects us to connect the dots. I appreciate the movie’s intelligence and the way it doesn’t patronize the viewer. This leaves us with a dark, foreboding world with a much greater degree of believability than the average future tale. Children of Men envelops us in its universe to a surprising degree and manages to meld its sides seamlessly. This isn’t a fun ride, but it’s an absorbing one. Children of Men appears in an aspect ratio of approximately 1.85:1 on this Blu-ray Disc. The image seemed strong. Sharpness looked very good. A few wide shots appeared a smidgen soft, but the movie usually remained crisp and concise. Jagged edges and shimmering failed to create problems, and edge enhancement appeared absent. In addition, the print lacked any noticeable defects. As one might expect of such a grim story, the palette went with a stylized feel. Much of the flick went with a teal tint, as only occasionally did slightly warmer hues materialize. I thought the disc replicated the color design well. Blacks were dark and deep, while shadows demonstrated solid clarity and delineation. I felt impressed by this image. Similar thoughts greeted the surprisingly effective DTS-HD MA 5.1 soundtrack. The movie presented a very involving soundfield that worked for moments both quiet and loud. The film created a good general sense of place and used a lot of directional dialogue to further spread out the events. The mix of action sequences provided the best material, though, as they opened up the spectrum to throw us into the events. The package melded together the elements in a smooth, concise manner. No issues with audio quality emerged. Speech was consistently crisp and distinctive, and music showed very good range. The occasional examples of aggressive future rock pounded well, but quieter tracks also seemed rich and full. Effects demonstrated great clarity and definition, while bass response was always deep and tight. This was a high quality mix that earned an “A-“. 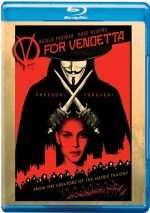 How did the Blu-ray compare to the 2007 DVD release? Audio showed a bit more warmth, while visuals demonstrated the usual improvements in clarity and delineation. The DVD worked well but the Blu-ray offered a step up in quality. The Blu-ray mixes old and new extras, and we open with comments by philosopher/cultural critic Slavoj Zizek. Don’t expect a full commentary; instead, we hear from Zizek as he chats over five minutes, 44 seconds of footage. Zizek discusses the movie’s contrasts between foreground and background elements as well as some other introspective notes. He also mentions some changes between the novel and the movie. Zizek gives us some interesting perspectives and details, though I must admit his heavy lisp becomes a distraction. Three deleted scenes run a total of two minutes, 22 seconds. Don’t expect anything of consequence. The first just shows Theo in the grimy streets, while the second demonstrates his need of money as his landlord threatens him with eviction. For the final scene, we simply get an alternate look at Theo with his brother amidst rescued art. The clips are all disposable. Five featurettes follow. The Possibility of Hope fills 27 minutes, 16 seconds with notes from Zizek, anti-globalization activist Naomi Klein, philosopher/historian Tzvetan Todorov, human geographer Fabrizio Eva, sociologist of human migrations Saskia Sassen, philosopher/economist John Gray, and scientist/futurologist James Lovelock. Essentially they discuss the crappy state of the world today and throw out a few vague positive thoughts about the future. Not exactly a bucket of fun, the program offers some interesting concepts but doesn’t do much more than bludgeon us with doom and gloom. In the seven-minute, 36-second Under Attack, we hear from writer/director Alfonso Cuaron, producer Eric Newman, “Doggicam” camera operator Frank Buono, stunt coordinator Steve Dent, and actors Clive Owen, Chiwetel Ejiofor and Julianne Moore. “Attack” looks at the film’s limited number of cuts and the techniques to create the long takes. We get a nice look at the technical elements as well as stylistic choices in this solid little piece. Next we move to Theo and Julian. During the four-minute, 40-second piece, we find comments from Cuaron, Owen, Moore, and producer Marc Abraham. We get info about cast and characters. Some decent insights emerge, but mostly this feels like a simple recap without much depth. Futuristic Design lasts eight minutes, 38 seconds and features Cuaron, Abraham, producer Hilary Shot, set designer Jennifer Williams, production designer Jim Clay, and costume designer Jany Temime. They cover the movie’s set design, costumes, and other visual elements. We find a good overview of the different elements that went into the creation of the film’s dark setting. Finally, we get the three-minute, six-second Visual Effects: Creating the Baby. It presents the various stages through which the flick went to form the baby. We get no narration but see the different pieces as they come together in the scene. It turns into an effective visual presentation. New to the Blu-ray, U-Control gives us an interactive feature with three different prongs. “Commercials” shows us close-ups of the various TV ads that pop up occasionally throughout the film, and “Info” offers similar details in regard to newspaper stories and posters seen in the background. Both are fun additions. We also find a “Picture in Picture” track. This mixes shots from the set with interview comments from Newman, Abraham, Owen, Cuaron, Ejiofor, Williams, Moore, Clay, Shor, camera operator Frank Buono, and actors Danny Huston, Pam Ferris, Michael Caine, and Clare-Hope Ashitey. The comments look at story/characters, cast and performances, set design, stunts and camerawork, and general thoughts. Occasionally we get good notes, but the clips pop up too infrequently. These make “PiP’ a less than efficient way to examine the film. If you want to take Children of Men as a political statement, it works that way. If you just want to see a tight little action thriller, it fares well in that direction too. The movie serves its various audiences to create a compelling piece of work. 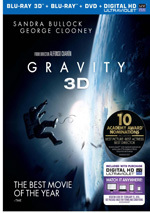 The Blu-ray offers very good picture and audio along with a moderate roster of supplements. This remains an intriguing, thoughtful effort.